James Neiss/staff photographerNiagara Falls, NY - "It was like end of the world stuff, said John Pileggi. The water was coming in everywhere, there was a river in the driveway and then after awhile it just went away." 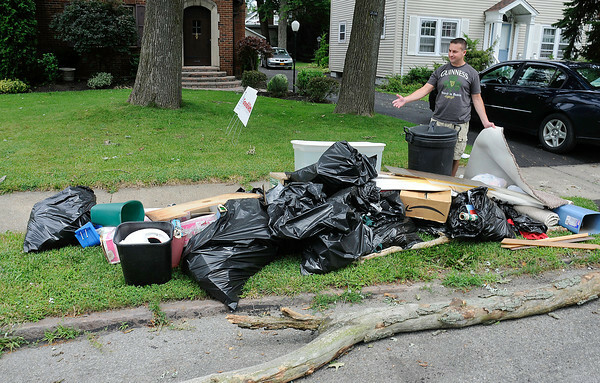 Pileggi, said his family lost the washing machine, rugs and more after his College Avenue homes basement filled with about one foot of water during Friday night's storm.